Discomfort, itchiness or problems with your eyes may result in a red or pink appearance in the white of your eyes. When you notice that your eyes appear red and inflamed, you want to address the underlying problem. At our clinic, eye doctors provide treatments to help with the symptoms you develop and encourage your eyes to heal. When you have red eye, it means the whites of your eyes appear red, bloodshot and inflamed. The eyes may become swollen and the redness may worsen over time without treatment. The reason your eyes appear red is the blood vessels in the whites of your eyes. The blood vessels dilate and the eyes appear bloodshot with clear redness throughout the white part of your eyes. Eye doctors recognize the signs of the condition and develop a personalized treatment plan after identifying the specific cause of your red eyes. The symptoms of red eyes allow you to determine when to seek medical treatment. You want to seek red eye treatment whenever you notice signs of the problem because it may suggest a medical emergency. Although many individuals experience a variety of symptoms, red eyes do not always cause discomfort. In some cases, the only symptom you notice is red and bloodshot eyes. The underlying causes of red eyes differ for each individual. By identifying the reason for your bloodshot and swollen eyes, an eye doctor provides a treatment plan to address the problem. Eye doctors clarify the cause of the symptoms you experience before developing a treatment plan. A treatment plan focuses on addressing the cause or encouraging your eyes to heal from an injury. 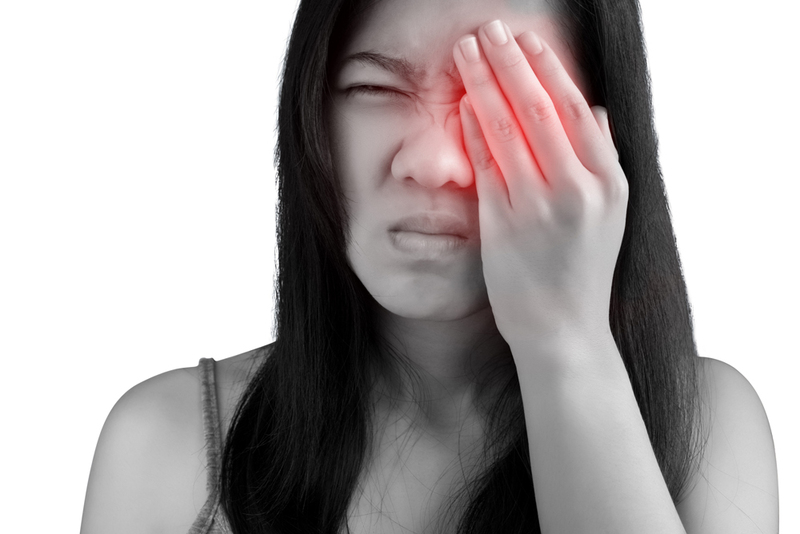 Fremont optometrists develop a red eye treatment plan based on your symptoms and the cause of your symptoms. Due to the variety of potential causes, we may run tests to check for eye conditions like glaucoma, infections or other factors that may result in swollen and bloodshot eyes. After clarifying the cause of your symptoms, we provide appropriate treatments. We may suggest medicated eye drops for allergies, dry eyes or similar factors that cause your bloodshot eyes. We may also recommend lifestyle adjustments when computer usage contributes to your symptoms. For example, we may recommend taking regular breaks when you spend time on the computer or other devices. You can also benefit from wearing glasses instead of contact lenses when you develop discomfort from the lenses. Other medications or surgical treatments are an option when other eye conditions cause your red eyes. Red eye treatment is a process that starts with identifying the cause of your symptoms. In our clinic, we develop a personalized treatment plan to reduce your discomfort and encourage your eyes to heal. To learn more about treating red eyes or to set up an appointment, call (510) 490-0287 today.